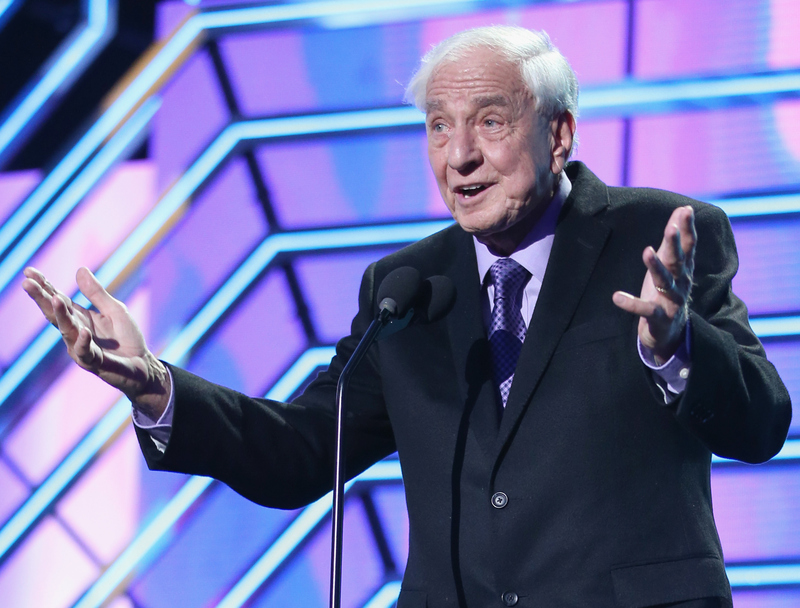 Famed director, writer and producer Garry Marshall has died. His resume included Pretty Woman, Happy Days, The Princess Diaries, and Runaway Bride, among many others. Marshall reportedly died of pneumonia following a stroke in his home in Burbank, California, according to Access Hollywood. He was 81 years old. Marshall's illustrious career began first when he turned the play "The Odd Couple" into an award-winning series in 1970, and then with a pilot for an anthology series that soon became Happy Days. The show was so popular that it spawned not one but seven spin-offs including Mork & Mindy, Laverne & Shirley, and Joanie Loves Chachi. To say that Marshall was the king of 70's television would be putting it lightly. In 1990, Marshall segued his TV screenwriting success onto the silver screen when he directed Pretty Woman, an incredible rom-com about a prostitute and a john who end up falling in love, starring Richard Gere, Julia Roberts and Julia Roberts's smile. In doing so, Marshall solidified his role as Hollywood royalty. Gere and Roberts also starred in 1999's Runaway Bride, another rom-com about a woman who chronically leaves fiancees at the altar. His last film, Mother's Day, came out ahead of Mother's Day weekend this year. Like many Hollywood directors, Marshall was known for his quirks. He reportedly worked with actor Hector Elizondo in nearly every film he directed, required basketball courts on his sets, and would create photo albums of his entire cast and crew on his films. The much-beloved Marshall is mourned by stars, from Henry Winkler (who famously played The Fonz on Happy Days) to Bob Saget, Lance Bass to Lea Michele and many others. Marshall once famously said that people should "learn to work with people you wouldn't go to lunch with," and I can't think of a better piece of advice. Rest in peace, Garry Marshall. Hollywood and pop culture fans of many generations are mourning your loss.